Welcome to Day #5 of Chocolate and Breakfast Cereal Theme Week. 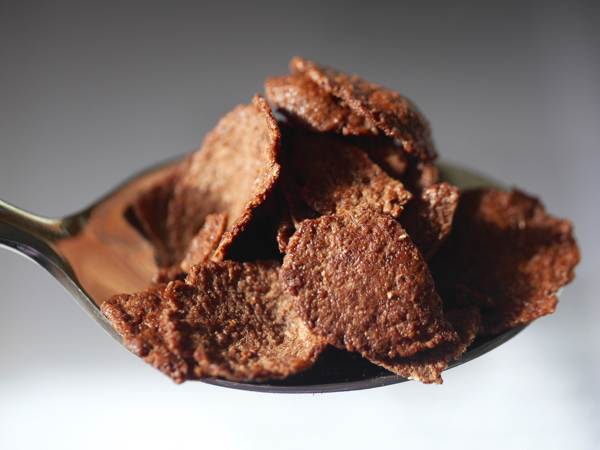 Looking for a grain-free alternative to wheat and corn flakes? How about a bean-based breakfast cereal? 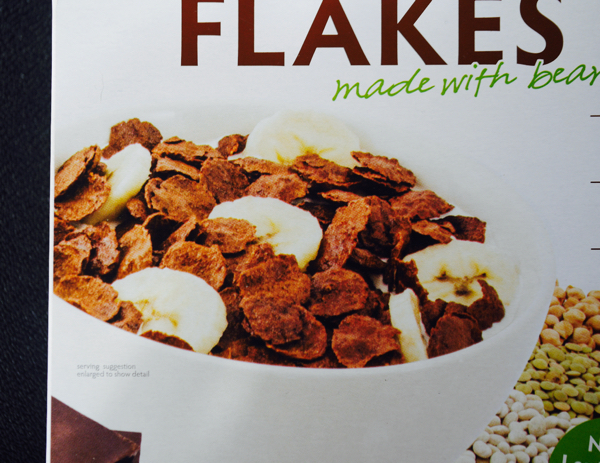 Yep, chocolate bean flakes. 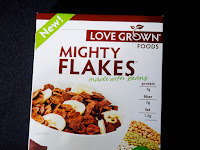 Today's Chocolate Joy Mighty Flakes—distributed by Love Grown Foods, LLC (Denver, CO)—were made from a blend of navy beans, lentils and garbanzo beans. And, of course, chocolate (supplied by cocoa and "natural chocolate flavoring"). I don't know about the chocolate flavoring source, but the ingredients list* looked pretty healthy, with no artificial/synthetic ingredients or colors that I could see. And the chocolate flavor tasted authentic. The dark, substantial flakes were crunchy and not overly sweet. (And this cereal did not taste like beans.) 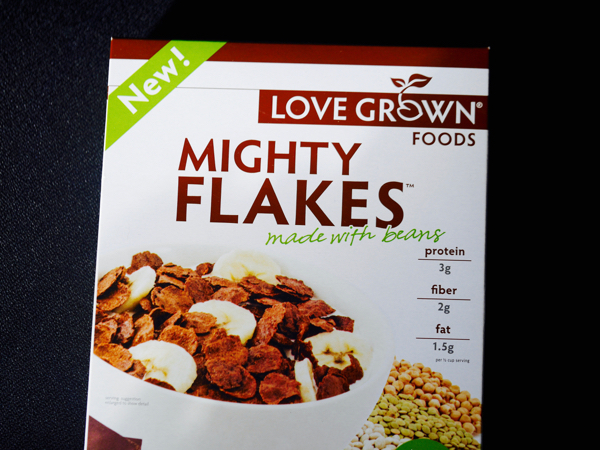 These Chocolate Joy Mighty Flakes were also better tasting than other bean-based cereals I'd tried in the past. Love Grown Foods was founded by Alex Hasulak and Maddy D'Amato in 2008; and they're committed to providing healthy food and cereal alternatives to as many people as possible. They also offer other cereals, including a similar (bean-based) chocolate cereal called Power O's (O shapes instead of flakes). *Ingredients: Bean blend (navy beans, lentils, garbanzo beans), dried cane syrup, brown rice, white rice, cocoa, coconut, natural chocolate flavor, coconut oil, salt, Vitamin E (to maintain freshness). **Note: This cereal contained no wheat or corn ingredients; however, there was no claim that it was a gluten free cereal. It was made in a facility that "...uses milk, soy, wheat and tree nuts."